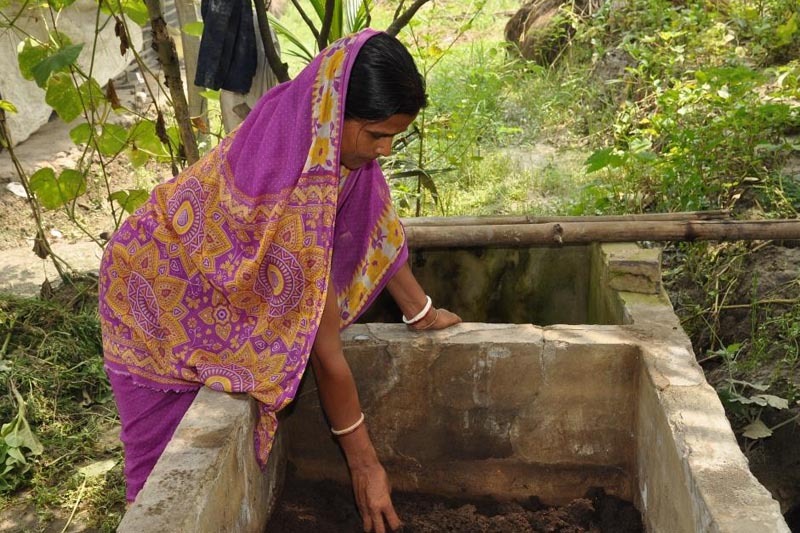 In the Pond Based Integrated Farming (PBIF) programme the re-excavated ponds hold much harvested water. The water percolates under the ground in nearby areas and thus, the shallow aquifer become saturated. 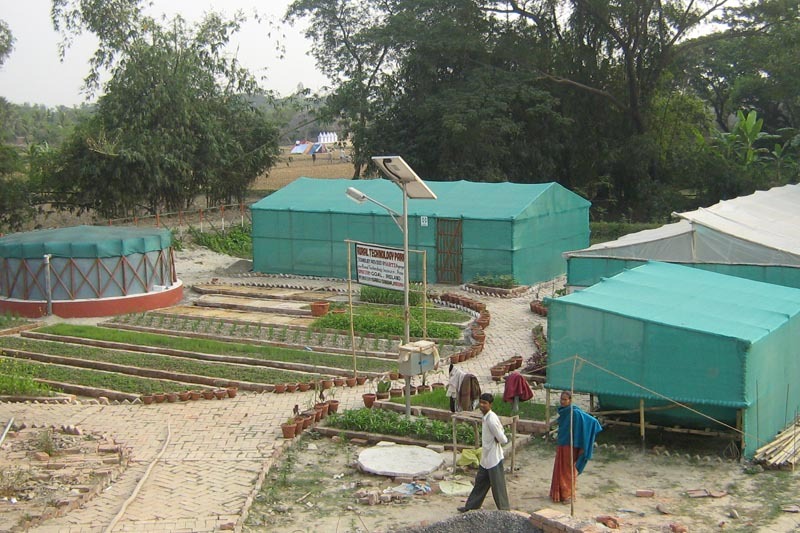 Greening with vegetable garden on the pond embankments also other vacant places and planting fruit bearing trees is environment friendly and the methods used are totally based on rural-technology. The vermin-compost and cow dung manure used are not harmful to soil. 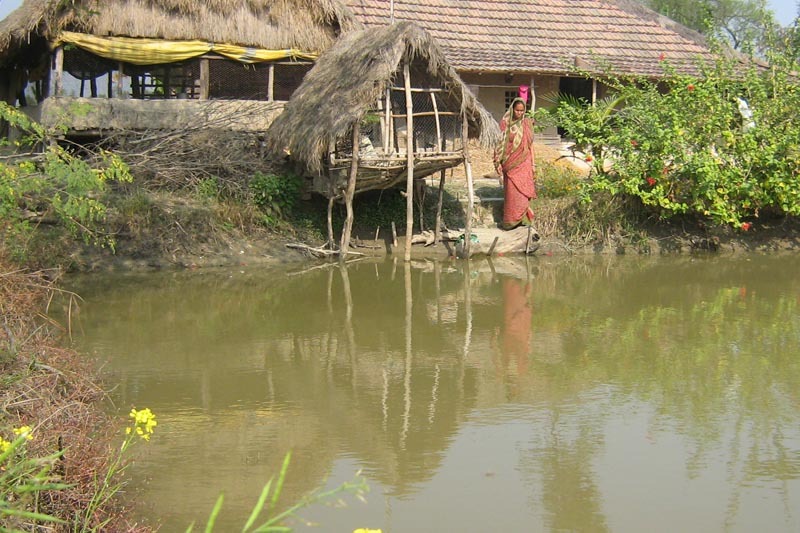 Indigenous varieties of fishes (Seen earlier, presently disappearing gradually) are cultured in the pond, and all above programme actions are favorable to bio-diversity conservation. 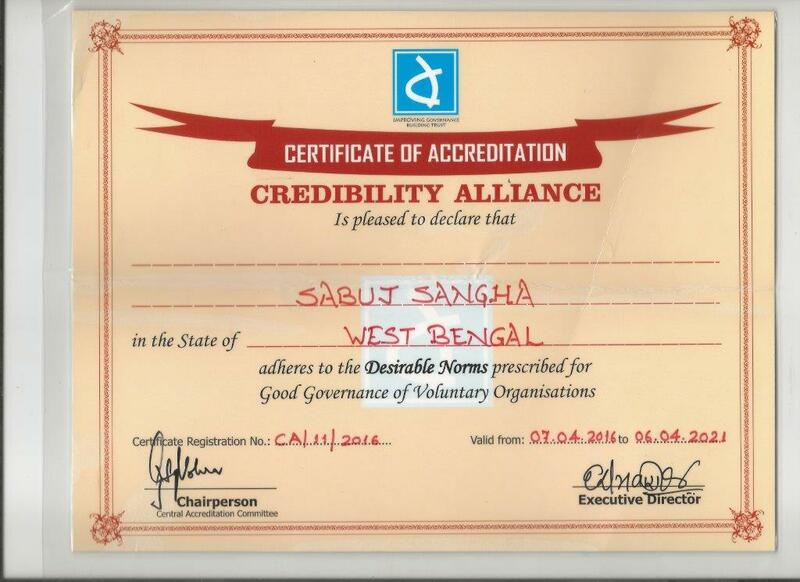 The needy families having four/five kathas of land and small water body within the homestead land have been selected involving local Self Help Group (SHG) Clusters and Sundarban Mahila Swanirbhar Gosthi Cooperative Society Limited (SMSGCSL). After verification through home visits the families are provided training on pond based integrated faming and financial assistance as loan. The components of pond based farming include re-excavation of pond increasing water harvesting capacity, vegetable cultivation on the pond embankments also other vacant places through improved technology, fish culture in the pond, rearing of hen/duck and preparing organic manure vermin-compost with earth worm cow dung and organic substance. The produced goods primarily meet up consumption need of the family and rest are sold to local market. 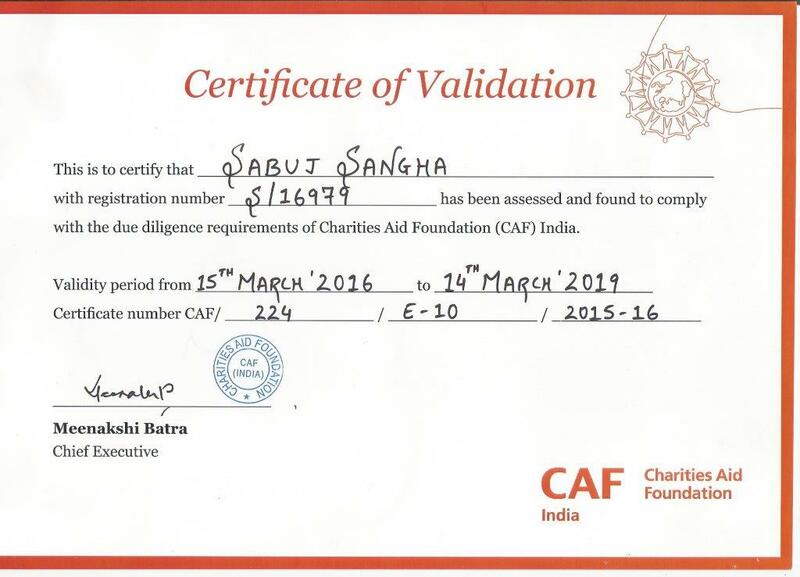 The beneficiaries repay the entire amount of assistance through small monthly installments. The SMSGCSL is responsible for regular monitoring of these families assisted and collect installments developing community fund. The repaid amount is recycled to provide similar support to other families and thus, the programme is sustained. 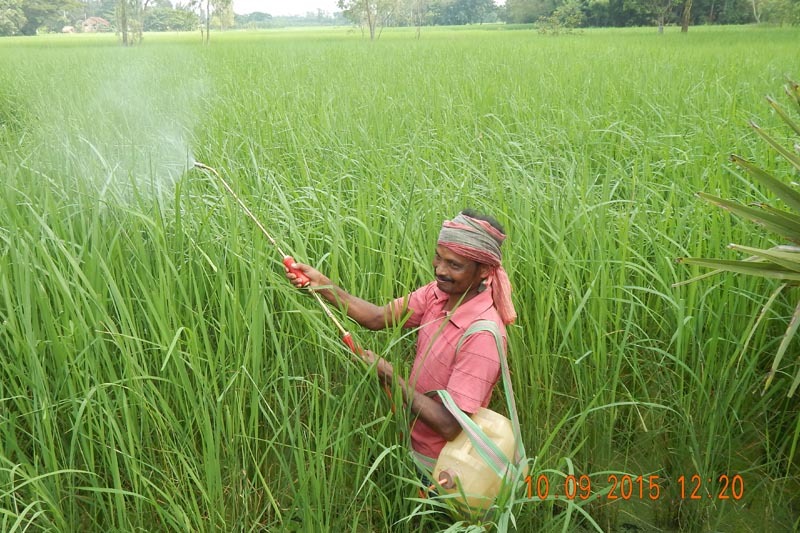 In paddy cultivation through both traditional and Systematic Rice Intensification (SRI) method organic manure are used reducing the use of chemical fertilizer. This is an environment friendly faming without chemical fertilizer, which increases fertility of soil and prevents degradation of soil quality.